Minnesota calls on Senator Klobuchar to speak out against Israeli massacres | Fight Back! 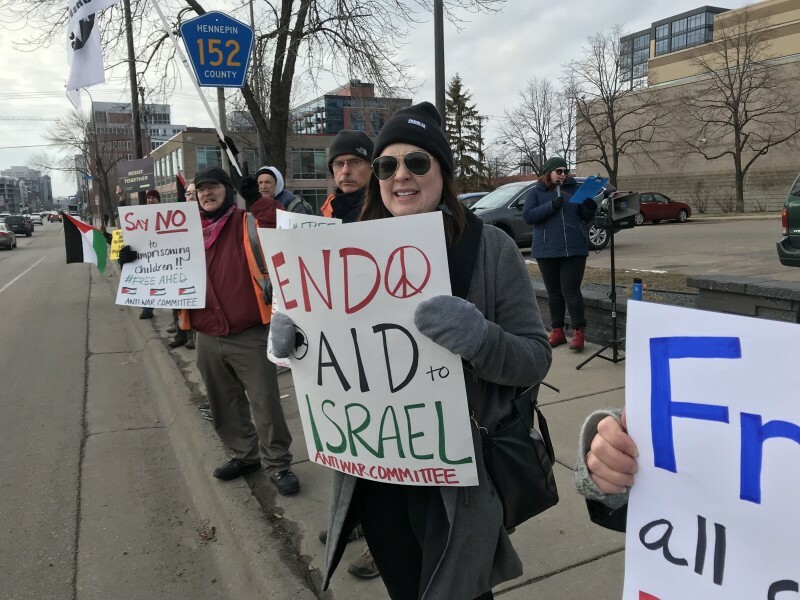 Minneapolis, MN - Protesters stood outside the offices of Senator Amy Klobuchar, April 10, to call attention to the Palestinians being killed by the Israeli military. This emergency bannering comes as Palestinians are being killed during the Great March of Return, which began on Land Day, March 30, and will continue for six weeks until Al Nakba on May 15. 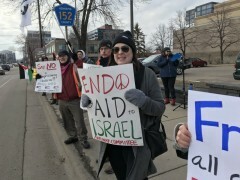 Senator Klobuchar was unwilling to meet with the Anti-War Committee on April 10 and the committee plans to continue to pressure their senators to end U.S. aid to Israel and to demand freedom for Palestine.